Jana is now retired and living in Colorado Springs with her daughter! 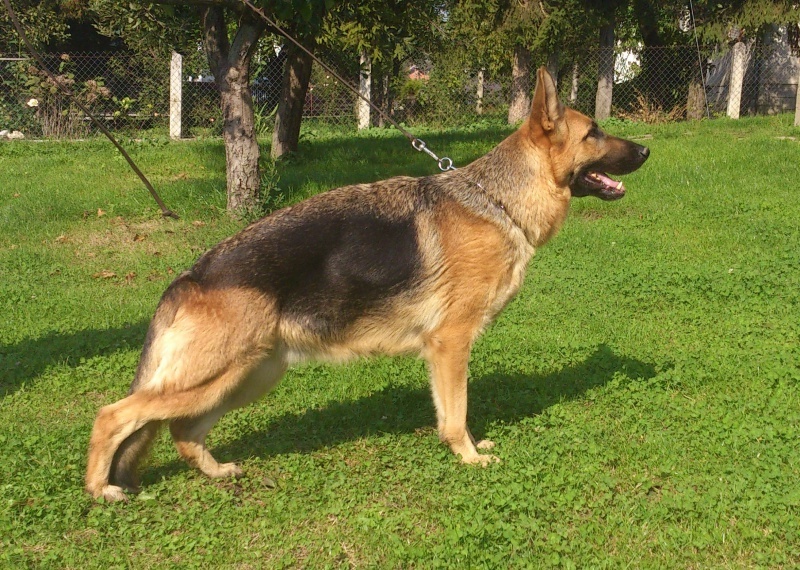 Dog Profile: Jana der Rote Kriger is a sweet, black and red female who produces exceptional puppies. Jana is the granddaughter of VA1 Zamp vom Thermodos and the great-granddaughter of 2x VA2 Quantum von Arminius. 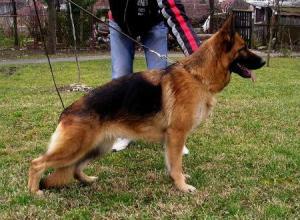 Jana absolutely loves people and her ball and gets along extremely well with other dogs. Jana's personality is very sweet and she is a big love! Jana's color is a little lighter than some of our girls so she produces various shades of red when it come to her puppies. 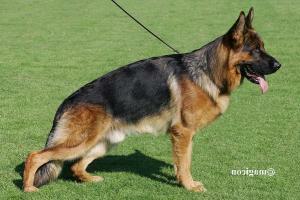 Jana passes along her sweet temperament and healthy bloodlines to her offspring. Jana's hips/elbows are A1/A1, the highest possible rating. Jana is now retired and living in Colorado Springs.